Vertical Development strives to make our database technology as easy to use as possible so that ordering mistakes and the resulting returns can be reduced. One of our recent additions to achieve this goal is 360-degree imaging. This lets customers and salespeople get a full view of a part to ensure compatibility before they order it. Why is it important to add these views on top of the technical data already available? Automakers are constantly making minor changes to their vehicles, and that means subtle differences can determine whether or not a part will work. An otherwise identical part might get a different wiring connection, an extra vacuum port, or added reinforcement to improve performance or work with different equipment. Sometimes, these nearly identical parts co-exist in the same model, either because of differing option packages or mid-year updates. These problems can be encountered in every kind of vehicle: any car may receive modifications to address problems discovered in the field, while some vehicles, like light duty trucks, may be offered with millions of option combinations to fit their customers’ needs. Even the most astute counterperson can’t memorize the look of every part, and the most experienced customers can’t intuit the design of a part from a single image. This is why a 360-degree view can help your auto parts business: it’s as close as you can get to having the actual part in your hands, allowing precise comparisons to eliminate the guesswork when shopping for parts. Making a 360-degree view is a lot like making a cartoon: multiple images are shown in succession to create the appearance of movement. To do this, dozens of photos are taken of the part, and these photos are stitched together to create a full view of every surface. The more photos used to create this view, the smoother the animation will be. Taking these photos is more complex than standard stock photos due to the range of views. Instead of sitting a part on a table against a blank backdrop and taking a photo, the part has to be suspended to allow the camera to move seamlessly around it, and the inside of the part has to be viewable wherever possible. That means opening throttle bodies, moving levers that obscure bolt holes, and fully extending components to show detail. It may take more effort than a standard photo, but the result is a virtual part that the user can manipulate on screen, turning it to different angles to get a close look at every surface. With the system we’ve built into ShowMeTheParts, the user can move the part with the drag of a mouse cursor or a finger to look around, then click on the magnifier icon to see more detail. 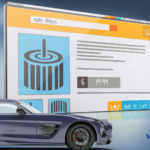 We already offer multiple search methods including the usual make, model, trim and year combination as well as VIN number, VIN bar code and license plate searches. Adding a 360-degree view means that once a customer has narrowed down the possible parts for their vehicle, they can get final verification that what they’re ordering will fit what they’re replacing. 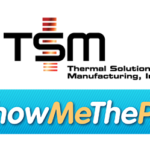 A standard feature of ShowMeTheParts. 360-degree images are a value-added feature available to all ShowMeTheParts clients at no added cost, you need only provide the image files. 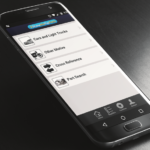 When you add 360-degree views, you’re giving customers a new tool that can help reduce returns while giving them the confidence to buy your parts. Ready to partner with Vertical Development to integrate 360-degree images into your online catalog or sales process? Give us a call at 847.609.9540 or email sales@verticaldev.com.